Dr. Strangelove in his horror-lab (this picture does NOT represent Dr. Udo Ulfkotte, concocting AgitProp against Islam in Europe! - It is borrowed from the "Halloween Only" American website. The same website that features a Halloween Chain-Saw plastic gadget, used by Ulfkotte in Akte-Islam Blog, to scare Europeans from Islam. See Akte Islam: Das Hororkabinett des Dr... in In Europa Zu Hause -in German). October 12, I issued a warning against the manipulations of German Dr. Udo Ulfkotte against bloggers who stand up against racism and discrimination. Since then, the three German bloggers targeted by Ulfkotte, whom I know of, have reorganised their defense against the legal harrassing by the self-appointed "Security Advisor" and his Pax Europa organisation. Their new, undisclosed, strategy and tactics prevent them from discussing Ulfkotte-related matters for the time being, and, in some cases, even from delivering their contributions to the blogs they are publishing. This may be considered a temporary victory for Dr. Ulfkotte. Congratulations! As I am not under the restrictions, my friends are subjected to, I can share with you some findings about Ulfkotte, I made myself recently. Everything must have started in whiskey-soaked African bars serving as hideouts for foreign reporters on lonesome nights. 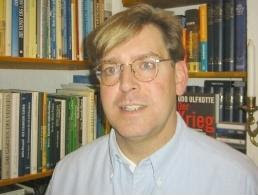 Ulfkotte was African correspondent for some time during the nineties for the German quality paper Frankfurter Allgemeine Zeitung (FAZ). Bloody civil wars were raging. Dubious arms traders chatting at the bar. Foreign mercenaries paid with money from dark sources (oil, diamonds, uranium?) by local dictators and foreign companies, were all around. English, American, French Secret Services rarely intervened directly, but worked through fake companies and mercenary organisations. But young Ulfkotte felt a belated Silent American. He was part of the grown-ups! Power was dealt with at the pub tables next to him! Udo Ulfkotte may have felt, he finally entered...: Udopia. Maybe, he got remorses about turning down an offer from the German Secret Service BND at the beginnings of the 1980s, when he was invited to join it at a BND-sponsored Students' Seminar in Bonn. That is, at least, what het pretends himself on pages 15/16 in his 2006 book "Der Krieg im Dunkeln - Die wahre Macht der Geheimdienste" (The War in the Dark - The True Power of the Secret Services). It is, of course, impossible to verify those pretensions. If the BND really has been as naive as Ulfkotte writes, interviewing candidates at the seminar itself and not afterwards, at home or at work, anybody among the twelve candidates interviewed by the Service, who agreed to join it, would have denied so. Basic condition for a real agent, isn't it? Anyhow, Ulfkotte started to see himself as part of the Secret Services community. Like a plane-spotter, a tramways freak, a post stamp collector, or, for that matter, a religious fanatic, he concocted intrigues of his own design, and reveled in what he saw as the discovery of the true powers that move history. No complicated economic or social analysis needed any more. No historical research. Truth was given once and for all in religion and/or in "culture" and "civilisation". Politics were nothing but manipulations behind the scenes by the True Powers: the Secret Services. As most freaks do, Ulfkotte considers himself not only as part of the professional community, but at the same time as their external critic. Not of the principles presiding on the Services themselves, or their existence itself, but of their "Pannen" (failures). Dr. Ulfkotte would have done it better. The above-mentioned book is stuffed with examples of that state of mind of the author. Like the tramway freak, who loudly criticizes the public transport management, but who melts away, when invited, on a calm Sunday afternoon, to drive a streetcar on an abandoned track from nowhere to nowhere... "Please, photographer, wait until I have the uniform cap right on my head!" The above image, which is of course completely this author's supposition, and may not (fully) correspond to reality, could explain many things that have happened (or are reported by Ulfkotte as having so), since those African years. (a surprise, not to be disclosed yet!). Quite a program. I know that you, reader, are thinking: "First see. Then believe.." And you are right. Perhaps, Mr. Ulfkotte himself will be an exception. For, seeing the hand of one of his enemy secret services behind my actions, as he always does, when somebody takes on him, he will believe that I am "fed" by the CIA, the Mossad, or by one of the German secret services, who are competing amongst themselves.